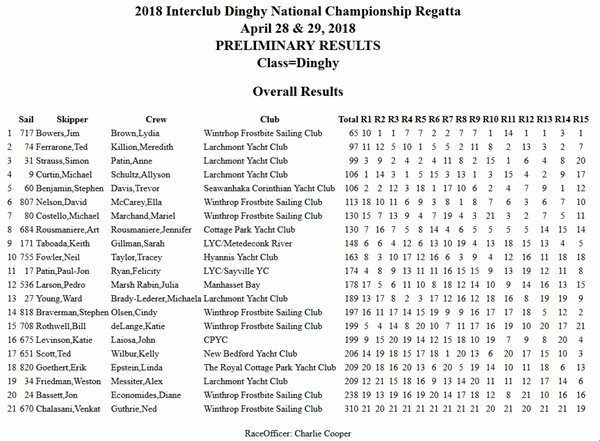 A little late, but the 2018 Nationals was run at the Hyannis YC on the Cape. Jim Bowers and Lydia Brown racked up yet another win! Given that Jim is such a young guy, how many more will there be? ?